I go mad for the scone, whether they’re sweet or savoury, served with a cuppa – these treats never disappoint me. Preheat oven to 220ºC (425ºF, gas mark 5) and lightly grease a baking tray. Mix together the flour and salt, then rub in the butter. Finely slice the onion and gently fry them over a medium heat along with the sugar and salt until nice brown caramel colour and darkened at the edges. This should take about 5 mins. Now transfer it to a plate to cool. Stir in the grated cheese, poppy seeds, milk and cooked onions to the flour mixture and form a soft dough. Turn out on to a floured surface and lightly knead, the mixture might be a little wet, if so, sprinkle some flour onto the palm of your hands to prevent the mixture from sticking to your hands. Pat the dough out to form a round 2cm thick circle. 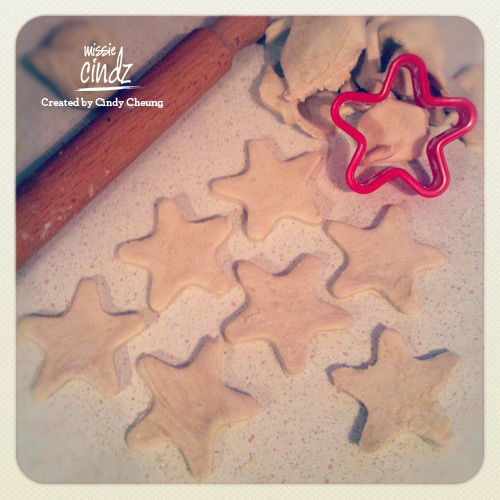 Using a 5cm ‘star’ or ‘Christmas tree’ shaped cutter stamp out the scones until all the mix is used. Place scones on baking tray, brush with milk and bake for 12-15 mins. Best served slightly warm. NOM!! Cindz Tip: These scrummy scones can also be served as part of a buffet or party food selection. When the scones have cooled, halve, spread with butter, then sandwich with cress, cheese slices and chutney – whatever tickles your taste buds really! 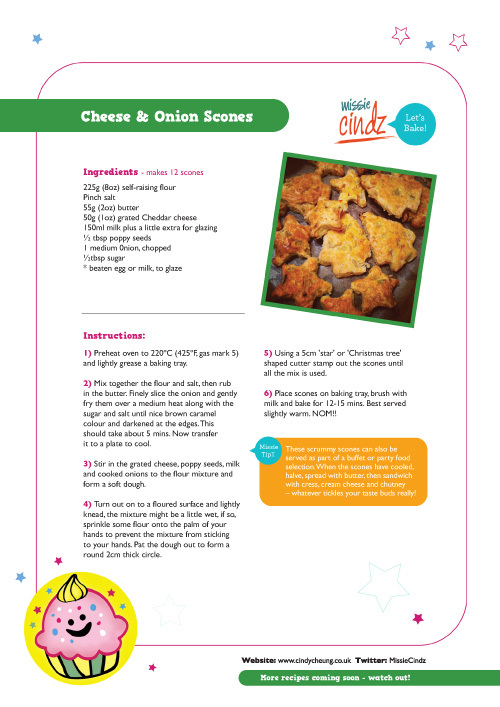 Click here to download my Cindz recipes: Festive Cheese and Onion Scones – they’re NOM! 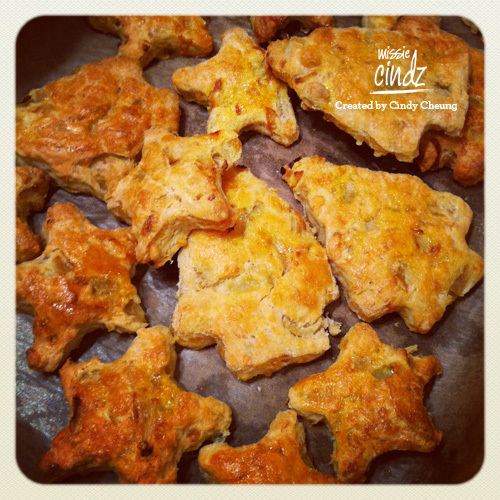 Click here to download my Festive Cheese and Onion Scones recipe – they're NOM!